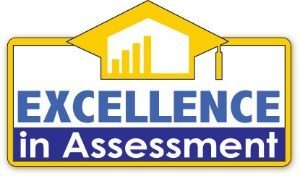 Southern is among only five colleges and universities in the country to be selected for the Excellence in Assessment designation – a recognition for successfully using data about student learning to help improve student performance. The designation was announced recently by the Voluntary System of Accountability, a public college and university transparency initiative led by the Association of Public and Land-grant Universities, and the American Association of State Colleges and Universities. They have teamed up with the American Colleges & Universities and the National Institute for Learning Outcomes Assessment (NILOA). The designation was created to acknowledge the work colleges and universities are doing through comprehensive assessment activities and to highlight those practices so that other institutions can benefit from that information, according to a press release about the recognition from the NILOA. “Institutions receiving the designation have proved themselves to be truly excellent in their efforts to advance campus processes and use of evidence, serving as exemplars to others for engaging in comprehensive assessment leading to advanced student success,” said NILOA Director Natasha Jankowski in a press release from the organization. Michael Ben-Avie, director of the SCSU Office of Assessment and Planning, said the designation is indicative that Southern is a leader in self-assessment. “The experts highlighted that we are using evidence of student learning from several different assessment methods to formulate a big picture of learning on our campus, as well as a picture of students. Involving students in survey development was also noted as a strength,” he said. Assessment data is used to help bolster markers of student success, such as academic progress, graduation rates and retention.